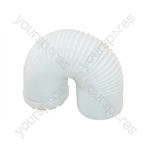 Buy your Hotpoint tumble dryer spare parts from yourspares.co.uk, we offer the entire range of Hotpoint tumble dryer parts for all models of tumble dryers created by the famous Hotpoint brand. The majority of spare parts are held in our Bognor Regis warehouse for immediate despatch if required. 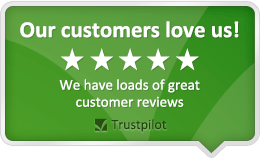 All Hotpoint Spares for your tumble dryer are covered by our price match guarantee should we not be offering the very best price at time of purchase. If your tumble dryer has stopped functioning correctly then rest assured we will have the part you need, some of the jobs can be carried out yourself and for these occasions we are constantly updating the how to section of our website Click Here to view the videos and other advice. If you cannot see the information there to assist you with the fitting of a new part then the chances are we are working on a new one right now, however please let us know if there is a particular one needed and we try our best to prioritise. Purchasing genuine Hotpoint tumble dryer parts is obviouslly the best way to fix your appliance, although these products are usually priced higher than the pattern (non genuine) types you can be assured that the parts are of the highest quality available and will be made to exact specifications just like the original part that came with your tumble dryer. If your appliance is still under manufacturer guarantee then we strongly suggest only using genuine parts as using pattern parts could void your warranty. For those of you looking to save money on your spares, we do offer a large range of pattern Hotpoint tumble dryer parts which are made to exact specifications and to a very high standard. Using pattern parts can save a considerable amount of money when priced against the genuine item but beware of low quality versions which we don NOT supply. If your appliance is still under guarantee then we suggest using the genuine spare parts.